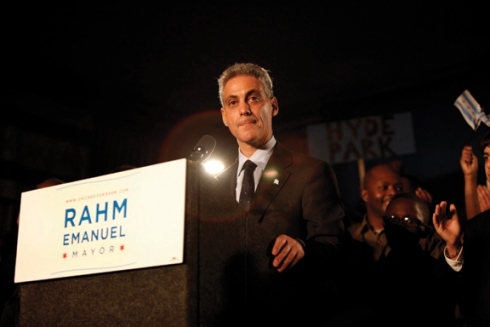 The news: In April, then-Mayor-elect Rahm Emanuel announced that he supports the Chicago residency rule, saying public servants like firefighters and police officers should be “anchors” in the community. Behind the news: Of the 64 ZIP codes in Chicago, only 28 had more than 100 firefighters and police officers living in the area, according to Chicago Department of Human Resources data on city employees who were hired from 1999 to 2009. Among almost 8,500 firefighters and police officers hired during that time, the highest number, 674, live in 60655 encompassing Mount Greenwood on the city’s South Side. The second most populated is 60638 around the Clearing neighborhood on the South Side, with 556 firefighters and police officers. By contrast, some of the ZIP codes with low numbers of public employees are areas encompassing the Loop where property values are high. But only seven firefighters and police live in 60627 surrounding the more affordable Riverdale neighborhood, while 54 live in 60621, which is around Englewood on the South Side. Robert Bruno, director of the Labor Education Program at the University of Illinois at Urbana-Champaign, said the differences in residency may be due to historically segregated neighborhoods and disparities in community resources. Though he said having public servants in every sector of the city is a “worthwhile aspiration,” the workers’ quality of life must also be considered, he said. “I think if you’re going to impose on people where they live, then you have to make sure that these are virtuous, prosperous and healthy communities for everyone to live in,” Bruno said.